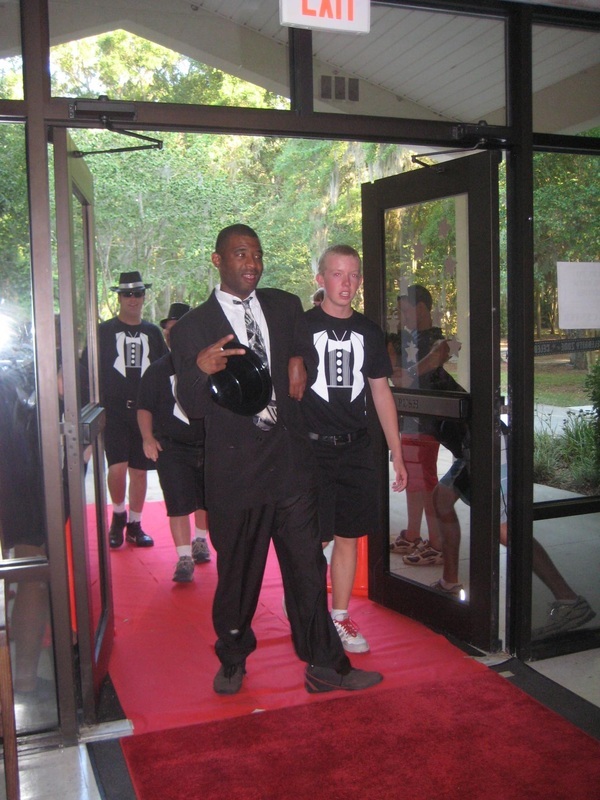 St. Johns Cares, formerly known as JCP CARES, Julington Creek Plantation Community Active Residents Engaged in Service, collected more than 130 formal dresses as well as tuxedo shirts, shoes, purses, jewelry, etc. all in an effort to help Camp I am Special with their summer Gala Nights. Camp I am Special is held at the Marywood Retreat Center and is for children and young adults with developmental disabilities. There are 8 week long summer camping sessions and the Gala Nights will be held each week on the last night of camp. 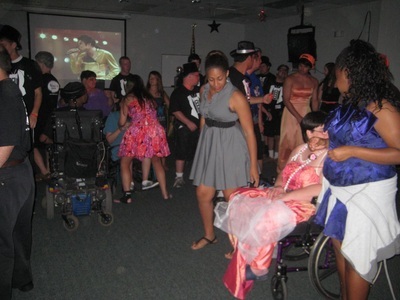 St. Johns Cares was on hand for the first Gala Night held on June 9th. The campers had a wonderful time as they were brought from their cabins to the center in a beautiful black stretch limousine. They then walked the “red carpet” with paparazzi taking their pictures and came into the transformed center where St. Johns Cares served the appetizers they had prepared for the evening as well as fun drinks in fancy champagne flutes. The campers then danced the night away to tunes played by a great DJ. Thank you so much to everyone that donated their time and clothing to help make this such a special occasion for some very special members of our community.